Bishop Fellay has given an extensive interview to Edward Pentin of National Catholic Register, on the current state of affairs with the SSPX and Rome. I am of the opinion that the conversion of Rome is not going to be a magical happening, whereby we traditional Catholics sit by quietly and do little to evangelize the universal Church as a whole, calling them back to the tradition that they have lost. This should be our constant endeavor! The “ghetto mentality” is not helping the Universal Church. We must actively convert souls to tradition. God uses the weak and small to confound the proud. I pray that the Society will flourish and advance, in whatever God’s will is for it. I pray that many souls will be fed in the life giving waters of tradition. The restoration will happen slowly, but surely. I recall Ven. Holzahauser saying that the “hand of Almighty God will work a marvelous change, something apparently impossible according to human understanding.” The duty of the Society can be summed up in this, according to what Bishop Fellay has just said: Keep the Catholic Faith and do not compromise. Is this quote true or not? Does anyone think God will allow the work of Archbishop Marcel Lefebvre to be in vain? I think not. This man, almost single handedly, preserved and defended the Faith, the Mass and the Priesthood and bore the price of of such heroism from the Modernists: false censure, criticism and even excommunication and all for keeping the Catholic Faith! I believe this was the man talked of in Prophecy by Our Lady of Good Success in Quito, Ecuador, who spoke of a prelate who would restore the spirit of his priests. Comments are invited, but I will not tolerate any slander and insults to Bishop Fellay, his person and most especially the office he holds, that of the Episcopate. If you disagree with the man, taking it to prayer is the best option. Disagreeing respectfully is one thing but hurling rash judgments is quite another. Pray for the Society, that God will guide them in the correct path to take for the good of the souls in their care, as well as those yet to come, and for the entire Catholic Church, that we will be the coals heaped upon their head, the sign of contradiction, and the bulwark of the truth of our Catholic Tradition of 2,000 years. Jesus Christ, for the devotion to the Blessed Virgin Mary, for the love of the Church, for the love of the pope, for the love of bishops, of priests, of all the faithful, for the salvation of the world, for the salvation of souls, keep this testament of Our Lord Jesus Christ! Keep the Sacrifice of Our Lord Jesus Christ. Keep the Mass of All Time! And you will see civilization reflourish, a civilization which is not of this world, but a civilization which leads to the Catholic City which is heaven. May we be always faithful to the one true Faith and may the restoration of the whole Church come about soon, wherein God will again be glorified and worshipped as never before! Amen! This entry was posted in Archbishop Lefebvre, Church crisis, SSPX and tagged Archbishop Lefebvre, Crisis in the Church, SSPX on May 20, 2016 by damselofthefaith. I too have no doubt that Archbishop Lefebvre is that Prelate that Our Lady of Good Success speaks of. God Bless in Christ and His Blessed Mother!! Same thing with Apostate Rome at the moment. No deal can ever be struck with the Devil or those that have abundantly demonstrated to be his friends. I also believe His Excellency Bishop Fellay is taking souls to Hell ‘through the front door’ while His Excellency Bishop Williamson is taking them to Hell ‘through the backdoor’ while the other Bishops just stand by watching it all. The Faith will be kept by righteous, pious old ladies, widows, orphans and children. We men are to drag souls before the Blessed Sacrament and defend those being brought to harm by evil ones. God was abandoning Mexico; because the Mexican Catholic women forced their men to fight for Gods greater glory and the Faith, Mexicans beat Freemasonry to a pulp. And God is with Our Lady’s Juanito Diegittos still. We must leave the comforts of our homes and enter the battlefield. Santa María de Guadalupe Esperanza nuestra, salva nuestra patria y conserva nuestra Fe! I completely dislike all talk of “Apostate Rome” and the attitude that we have nothing to do with “Apostate Rome” until it returns to the Faith. Christ has promised to be with His Church until the end of time, despite the sins and faithlessness of churchmen, including popes. If Pope Francis, easily the worst ever pontiff in the history of the Church, asked ME to go to Rome to take up this or that post, I would do so in a heartbeat. In a heartbeat. Sitting here in Scotland and writing about what he is doing wrong, what Cardinal Kasper is doing wrong, and calling them names is certainly fun (!) but if I had the chance to really make a difference – to take his ear away from the Kasper Cabal – I like to think I have sufficient intelligence (not to mention divine and Catholic Faith) to see that I have a DUTY to go and do whatever I possibly could, to help restore the Faith. Damsel of the Faith has hit the nail on the head with this truly Catholic inspiration: I am of the opinion that the conversion of Rome is not going to be a magical happening, whereby we traditional Catholics sit by quietly and do nothing to evangelize the universal Church as a whole, calling them back to the tradition that they have lost. This should be our constant endeavor! The “ghetto mentality” is not helping the Universal Church. We must actively convert souls to tradition. Well said. Spot on! I totally agree. Bishop Fellay is no fool. He will not sign up to anything that leaves him and his priests at the mercy of Modernist bishops. That’s a given. So, what a glorious sign it would be that the end is truly nigh – the end of the crisis and the beginning of the restoration of the Faith – were Bishop Fellay to be offered an agreement that would leave the Society as it is, free to speak out – as already some secular, diocesan and even religious priests are doing – and yet be free of the need to defend itself against the Modernists who truly want to keep the Society out in the cold, as much as they can. Believe me, they dread an agreement with the Society much more than do the daft “resistance to nothing” bunch of former SSPX supporters. Archbishop Lefebvre was, in my humble view, most definitely the prelate mentioned by Our Lady of Good Success and he made clear that when Rome called, he responded. As one Society priest said not that long ago, the Archbishop would not have dreamt that this situation would drag on as long as it has done; in the worsening crisis, the Archbishop would have wanted his priests to have maximum impact and that will only happen when their churches are seen to be bursting at the seams with Catholics who (wrongly) don’t feel they can attend their chapels in the present situation, but will do so gladly when the “irregular status” has been resolved. Great post, Damsel of the Faith. Brilliant! Thank you very much, Editor! All I want is it to see the True Catholic Faith flourish in the life of every Catholic on Earth so they can know the joy there is in the salvation that Our Lord has left us, His Holy Bride. God bless you always! “Rome will lose the Faith and become the seat of the Anti-Christ” words from the Holy Mother. Only Apostates could lose the Faith like that. Too late Rome will consecrate Russia to the Immaculate Heart. Cause and remedy. Our Lady did not state Bishop Fellay would save the Church. Only her Immaculate Heart will. You would do well to remember that the demons are expert at creating confusion, and you certainly seem to be very confused. We have the promise of Christ Himself that the gates of hell will never prevail against His Church; you seem to be implying that He got that wrong! A hundred million “pious old ladies, widows, etc..” can do nothing without the Sacraments of the Church, for which we need good, holy priests. Bishop Fellay and a shamefully few others are doing their best to provide us with them. Thank God for them. As to your comment that “we men” are to “drag” souls before the Blessed Sacrament: the most charitable remark I can make is that it makes no sense. Thank you Damsel of the Faith – you are doing great work. Thank you, Therese. The SSPX Priests are keeping the Faith alive in the world. They are the sign of contradiction. Can you imagine if they flourished in the Universal Church? We can put to death the Novus Ordo. It’s a big dream, but we must persevere and fight for Our Lord. It will take time but we will triumph in the end. More to the point, rejecting a pastoral, non-doctrinal agreement was opposed by Bp. Fellay in 2003.”The fundamental problem is this – I am simplifying a little: we have two opposing camps who are at war; at a given moment, one of the camps proposes peace. Rome made a peace proposal, thus: “Let’s not consider the doctrinal problems, it is too complicated for the moment, let’s move towards a practical solution.” In other words, they leave the problem aside and behave as if it doesn’t exist. This they called a solution – and Campos accepted it. Was Bp. Fellay espousing a “ghetto” mentality here? Also, I would ask: what does Scripture say about “dialoguing” with those who obstinately refuse to accept the Truth, who reject Tradition and cling to their errors? Scripture is quite clear: knock the dust off your feet, flee to the hills and have nothing to do with them. It doesn’t say endlessly dialogue with them. Here is what Abp. Lefebvre said about converting Rome back to Tradition. It is a lengthy quote, but based on your reaction I surmise you have never read it: “”What is going to happen? How is it all going to end?” That is God’s secret. Mystery. But that we must fight the ideas presently fashionable in Rome, coming from the pope’s own mouth, Cardinal Ratzinger’s mouth, Cardinal Casaroli’s mouth, of Cardinal Willebrands and those like them, is clear, clear, for all they do is repeat the opposite of what the popes said and solemnly stated for 150 years. We must choose, as I said to Pope Paul VI: “We have to choose between you and the Council on one side, and your predecessors on the other; either with your predecessors who stated the Church’s teaching, or with the novelties of Vatican II.” Reply—”Ah, this is not the moment to get into theology, we are not getting into theology now.” It is clear. Hence we must not waver for one moment. And we must not waver for one moment either in not being with those who are in the process of betraying us. Some people are always admiring the grass in the neighbor’s field. Instead of looking to their friends, to the Church’s defenders, to those fighting on the battlefield, they look to our enemies on the other side. “After all, we must be charitable, we must be kind, we must not be divisive, after all, they are celebrating the Tridentine Mass, they are not as bad as everyone says”—but they are betraying us—betraying us! They are shaking hands with the Church’s destroyers. They are shaking hands with people holding modernist and liberal ideas condemned by the Church. So they are doing the devil’s work. Thus those who were with us and were working with us for the rights of Our Lord, for the salvation of souls, are now saying, “So long as they grant us the old Mass, we can shake hands with Rome, no problem.” But we are seeing how it works out. They are in an impossible situation. Impossible. One cannot both shake hands with modernists and keep following Tradition. Not possible. Not possible. All I am stating is that I think the SSPX can do much good in the Counciliar Church. Not everyone is a malicious Modernist. There are souls afraid to come to us because of the lies told about us. For most of us our vocations is not the religious life. We are lay people in the world and as such I think we have an active duty to evangelize for the Faith. There are some who would rather sit quietly in their chapels, waiting the crisis out, when I think we are at the point when that can no longer be done. What other practical solution is there, if not to go to souls “where they are,” so to speak? The SSPX is flourishing, precisely the reason why we need to use what we have to reach out to the wider Church, to have our cause vindicated from the lies and slander hurled against us “lifted,” so to speak. If that takes an “approval” from Rome, as long as there is no compromise and we remain as we are, then I think that is the best route to take. I will never understand those who champion the “stay out of the fight” mentality. Reminds me of the USA general who said: either lead, follow, or get out of the way! Those who are terrified of any “agreement” wish, it seems to me, to give the impression that they are the purest of pure Catholics but they are the opposite. They are neither leading nor following but they are among the ineffective people who are staying out of the way. Not remotely apostolic. NOT Soldiers of Christ. You make the mistake of quoting Archbishop Lefebvre our of context and forgetting one very important quote of his – that it would fall to the Superior General to decide when it was time to come to an agreement with Rome. I forget the exact words, but that is the sense of it and do you know who quoted it before his spectacular fall into exile: Bishop Williamson, no less. “Do you not believe secluded nuns help convert souls?” Yes of course they do and for Carmelite nuns and Benedictine Nuns and hermits, that is their particular vocation. It’s not mine. Nor is it yours. They are helping souls precisely by winning grace so that those of us who are out here in the world can do all that we can to bring souls to God. God will do the converting but He needs our help and those nuns of whom you speak know that, too, and they do all that they can within the limits of their own rule, to help US to do the active work. We can’t say we don’t want to enter the religious monastic life and live under that particular rule, but we want to live AS THOUGH we are cloistered nuns and monks. That is wrong-thinking. By the truck-load. How have I quoted him out of context? I would very much appreciate having the quote where he said the Superior General should determine when to come to an agreement. Archbishop Lefebvre: We do not have the same outlook on a reconciliation. Cardinal Ratzinger sees it as reducing us, bringing us back to Vatican II. We see it as a return of Rome to Tradition. We don’t agree; it is a dialogue of death. I can’t speak much of the future, mine is behind me, but if I live a little while, supposing that Rome calls for a renewed dialogue, then, I will put conditions. I shall not accept being in the position where I was put during the dialogue. No more. This is a reply to Steve at 1050.am since there is no reply button there. Firstly, Steve, I must ask if you are part of the “resistance” (to nothing) group because my policy is never to enter into discussion with them – I have the same policy with sedevacantists as both groups display the same irreformable mindset. So, please let me know if you are part of that movement, please and thank you. If so, this will be my final response to you, and I would prefer it you would not answer this comment. The letter to which I refer, is the letter from Bishop Williamson in which he explains why Bishop Fellay was appointed Superior General despite Archbishop Lefebvre saying it should not be one of the bishops; notice that, Bishop Williamson actually said that things had changed since then… thereby justifying going against what the Archbishop had expressly stated – that a priest, not one of the bishops, should be Superior General. So, Bishop Williamson was happy enough to dispense with the Archbishop’s wishes when it suited! It is in this same letter that he quotes the Archbishop saying that it is the Superior General who will decide when it is right to speak with the authorities in Rome. I did Google to try to find the letter again, but with no luck. Still, common sense dictates that it is obviously the right and duty of the Superior General to make such a decision. As for “out of context” – well, the Archbishop’s actions clearly contradicted certain things he is quoted as saying, although I’m sure many, if not most, of these are taken out of their original context, without the necessary distinctions and provisos. Thus, we see him going to talk with Pope John Paul II even after the Assisi event, despite any of the previously quoted statements on having nothing to do with the “conciliar Church” until it “returns to Tradition” . Actions, as I say, speak much louder than words. Didn’t he say, loud and clear, that when Rome calls, he goes? And there can be little doubt that, were he alive today, seeing the worsening situation and the desperate need for leadership from the Society, that he would be giving all due consideration to practical ways forward. He would surely see that there is no contradiction in agreeing a position where the Society is left to operate “as is” – that is, free to preach the undiluted Faith and that includes preaching against the errors of Vatican II; that is, refusing to compromise doctrine. 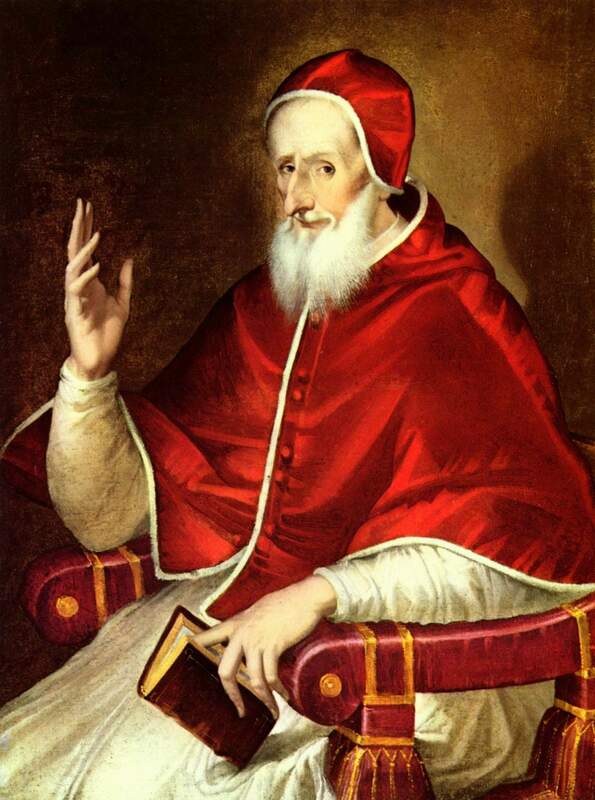 Only an idiot would expect the Pope and the Modernist (perhaps even Freemasonic) Cardinals to suddenly say: “we must return to the traditional Faith, we were wrong, all along, the Society was right all along… let’s make reparation … blah blah.” That’s crackers. With bells on. God expects us to use our intelligence and reason to bring things to rights – not to wait for some miraculous divine intervention. No, the obvious thing to do is for the SSPX to lead. That means, not being afraid to accept some form of structure that would permit the Society to maintain its integrity in full, while being “inside the walls” – and, frankly, anyone who is happy in the current situation when an acceptable alternative is offered, is about as Catholic as the local Imam. Bishop Williamson, take note, has never known the Church in normal times. He does not have a truly “Catholic sense”. He is quite satisfied remaining “outside the walls” because he’s an Anglican at heart. Heavens, he’s even happy at being outside the SSPX! Crazy. Those who follow him are following him into full blown schism. Thus, I want nothing to do with them. With all due respect, therefore, I’d appreciate it if you would refrain from answering this comment, Steve, unless it is to say “no way! I’m not part of the awful resistance (to nothing) movement”. In which case, I will reply – Alleluia! Archbishop Lefebvre never laid down as a condition for us to be recognized by Rome that Rome abandon the errors and the conciliar reforms. Even if he did say something like that to Andre Cagnon in 1990, he would never have done so, because that was never his line of conduct, his strategy with modernist Rome. He was strong in the Faith, he did not yield on his doctrinal position, but he knew how to be flexible, patient, and prudent in practice. To achieve his ends, his prudence told him to push the adversary, to harass him, make him step back, persuade him, but without blocking him with conditions that he still finds unacceptable. He did not refuse dialogue and was disposed to take advantage of every door opened by his interlocutor. It is in this sense that a certain opportunism, a certain “pragmatism” has been seen in him, and it is true: it is a small virtue annexed to the cardinal virtue of prudence. Sagacity, practical wisdom, is the neighbor of solertia, mentioned by Aristotle, St. Thomas (2-2, q. 48) and the Gaffiot, which is a skill in finding means to obtain one’s ends. Absolutely crystal clear. It makes no sense whatsoever to demand “Rome’s conversion” before any regularisation. So, many thanks for those links. There’s no doubt that your Confirmation paid off! Big time! You’re welcome, Editor! Many thanks for your defense of the Society and the traditional movement! May God bless you. Saul persecuted Christians in the Church too, but it was St. Stephen who fervently prayed for and gave his own life for his conversion. As Catholics we have always been called to convert. We need to restore that missionary spirit that Archbishop Lefebvre knew so well. Mother Mariana from Quito suffered the pains of hell for 5 years to save just one of her sisters from eternal damnation. Are we deeply concerned about souls within our own families? Are we offering enough sacrifices for their conversion? Be vigilant and do not be deceived! We are ALL are affected by this diabolical disorientation – not just Rome. Here is one holy priest’s remedy: 1) prayer, 2) growing in holiness – develop the interior life and study the faith, and 3) humility of heart. The devil hates humility. Thank you Damsel of the Faith for your edifying posts! You are in my prayers. Thank you, Kamela. A good reminder. The restoration of the Church will come about through prayer, sacrifice and active evangelization. You appear to misunderstand what Rome is set to offer the SSPX. It is set to offer a personal prelature without demands that it must recognise the New Mass and accept the Council in its entirety. In fine, the discussions are about recognition without doctrinal concessions. I would say that’s a long, long way forward from where the Archbbishop was back the late 1980s, wouldn’t you? Hence, we cannot quote the Archbishop in accordance with the circumstances of our time, some thirty years on. If I read the Archbishop’s spirit correctly was that he was hopeful of something akin to the offer that may soon be made to the SSPX, not opposed as you seem to suggest. Let us not forget either that the Archbishop also expressed grave fears that the longer the SSPX was isolated from Rome the more chance there was of a schismatic mentality setting in. Bishop Williamson has since shown himself to have precisely this mentality. His works speak for themselves. I understand that the British “Resistance” has now cut him off as “too modernist” for their liking. Imagine that! Here’s a prelate rivalling Archbishop Thuc on illicit episcopal consecrations at a time when Traditional bishops are not lacking, as they were in the Archbishop’s day, and the British “Resistance” think the man too modernist. These are the fruits of bitter zeal, clear to all who are not blinded by pride and anger. God bless Bishop Fellay, who is truly faithful to the Catholic and Roman spirit of Archbishop Lefebvre. I would like to note that a personal prelature is a canonical structure under the governance of the Congregations of Bishops, and not the local ordinary, who as we know, in most places, would be hostile to us. Thank you, Athanasius! Much appreciated, as always. I suppose I will make a general response to every claim that has been made thus far. Seeing how many things have been said, I will need to make this thorough. Therefore, it will need to be somewhat lengthy by nature. Say a prayer before reading, ask for guidance, ask for patience. 1) Obviously, Msgr. Lefebvre “turned over the responsibility of relations with Rome to the Superior General.” That is something I never challenged. I mean, who else would be placed in charge of that? What I was responding to was the claim that the Superior General could “come to an agreement with Rome” that was not doctrinal in nature. If I recall from Bp. Tissier’s biography of Abp. Lefebvre, Abp. Lefebvre directed the four Bishops to “not hand themselves” over until the Pope had come back to the faith. I am paraphrasing, of course. But go and look it up. I don’t have the book at hand. 2) Based on the tone of the responses, there seems to be a strange devotion to Bp. Fellay the man himself. I would never, ever, encourage any sort of disrespect to this devout man of God, this disciple of Abp. Lefebvre. But, in these sorts of discussions online and in person, someone inevitably says, “We must simply trust Bp. Fellay. He would never do anything to harm the faith.” Typically, that argument comes up after someone else has made a (semi) valid point that seems to challenge the Bp.’s decision. In a certain way, it reminds me of the neoconservative childlike admiration of John Paul II, Benedict and Francis. “We must trust the Pope! He is picked by God!” or so the argument goes. Again, just an observation here. Be careful with admiring the man too much and letting yourself be lulled into blind obedience. 3) The slander against Bp. Williamson is un-necessary. If you think he is an Anglican at heart, well, then, realize that that Anglican formed the vast majority of current American SSPX priests. You do know he was the rector at Winona for what, 20 some years? Also, that Anglican was hand picked by Abp. Lefebvre and was, at one time, a professor of Bp. Fellay’s. So, a little respect? Even if you despise the man? Also, claims of “division” in “The Resistance” are silly. Do you not know that there is far from unanimity on the idea of “regularization” amongst SSPX priests? They simply do a good job at keeping their thoughts private. You act as if all is perfect and well in the current SSPX. Your comment doesn’t refute anything. If anything, it borders on a venial sin. This pretty much discredits your idea that those who are not “in the Church” will form a “sect.” Although Fr. Schmidberger recently wrote a letter warning about a rise in some adopting a sort of sect like mentality, Bp. Tissier has pre-empted that argument, calling it foolish. “To stay inside the Church, or to put oneself inside the Church – what does that mean? Firstly, what Church are we talking about? If you mean the Conciliar Church, then we who have struggled against the Council for twenty years because we want the Catholic Church, we would have to re-enter this Conciliar Church in order, supposedly, to make it Catholic. That is a complete illusion. It is not the subjects that make the superiors, but the superiors who make the subjects. Seems to me that Abp. Lefebvre was quite alright not having a so-called “agreement.” Moreover, he seems to think it is “impossible” to have any sort of arrangement where the SSPX is left free and will change the Church. That last sentence should be worrisome. A Vatican official is confirming that the SSPX has “toned down” some of its critiques. Wow. Plus, Pozzo, the man who is in charge of relations with the Society, is saying that it must not be “polemical” or “antagonistic.” Doesn’t sound like a free deal to me. 6) As far as putting Abp. Lefebvre “into context.” Well, certainly, we must not forget to do this. But there are certainly two Marcel Lefebvre’s. The one is the Lefebvre from around the time of the Council up until the Consecrations. His desire was obviously to stay “in the Church” because, well, he was on his own and doing something entirely new. But, of course, after 88 up until his death, he had had enough insight and knowledge of the Modernists to stay stay away. In other words, he took his moorings from Scripture, which says to shake off the dust from your feet, flee to the hills and not dialogue with those who refuse the faith. So, if you want to put Abp. Lefebvre and his words on the matter to the side, then just say so. Seems to me you’ve made a choice to “contextualize” his brilliance to the ash heap of history. “In the last few weeks I have been spending a little time re-reading the book by Emmanuel Barbier on Liberal Catholicism. And it is striking to see how our fight now is exactly the same fight as was being fought then by the great Catholics of the 19th century, in the wake of the French Revolution. This is the fight we are in the middle of today. Exactly the same fight. What he is saying here is that the Church is being run like Modernists. This is akin to society being run by Liberals. Liberal Catholics accepted the deal to simply “be free” in a Liberal society, thinking to themselves they could change it organically. But Lefebvre realized that the Church is run by Modernists, and that to accept practical, non-doctrinal deal, is to essentially act like Liberal Catholics and be accepted as just one more group in the Church. Also, a “personal prelature” is a Vatican II novelty. I wonder if accepting it is an implicit break with Tradition? I don’t know, but we must not forget that in itself, a “prelature” is not Traditional. Nor do we attach labels to you, Steve. We are all souls grappling for the truth in this diabolically disoriented modern world. And how we all struggle with temptations! All that Damsel of the Faith here does proves that she does not turn her back to anyone, nor will I in making a response. We understand that you have copied this discussion onto your Twitter account. This is fine, but I would encourage you and your supporters to please not turn this into an endless discussion. Damsel and I are both in school and have many other important duties to fulfill. This blog is not meant to be an endless chat side, but a beacon of hope and truth in our poor church and poor world. I’d also like to say a word about unity in the Society and in our parishes. I have served for SSPX priests for over 8 years and know a considerable amount of the priests in the U.S. District. Moreover, I frequently read bulletins and newsletters from other parishes. I obviously cannot speak for the priests themselves, however, I can honestly say that there appears to be a wonderful unity amongst the priests and religious. Not a single one I know has written or said anything that indicates discontent with the current leadership or strategy. I’m happy to say that this goes for our parishes as well. Although the two parishes I’m closest to did in fact have trials from 2012-2013, we have regained a profound unity, perhaps even stronger than ever before. Also, even though a few people may have left us, Providence has given us some new parishioners to help strengthen us, especially at one of the chapels. I am certainly not advocating that we have an unnatural devotion to Bp. Fellay. I would be arguing the same no matter who was the Superior General. However, he does earn a certain amount of respect and trust based on his position and his experience. As Superior General, he’s obviously known more and seen more than any of us have. By the way, one could turn around and make the same argument about factions of the Resistance supporting Bp. Williamson or Fr. Pfeiffer. This unity of the Society appears to stretch around the world presently, as all of the district superiors, seminary rectors and professors, and those in significant positions seem to be behind the General House. What is the proof you have, Steve, of how so many priests are simply being private about this?Less and less priests and faithful leave as the months and now years go by. Can this be seen in the ‘resistance’? I don’t know. You have the “Kentucky” faction, which is essentially resisting the resistance after only 3 years. This is exemplified by the spirit of Pablo the Mexican, who is a prominent figure in all of this, who insists that there are only two really good priests left in the world, Pfeiffer and Hewko, while both Bps. Fellay and Williamson are leading souls to perdition. Bp. Tomas Aquino didn’t even invite Frs. J. Pfeiffer and Hewko to his episcopal consecration. You have quite a significant portion of the resistance saying that Bp. Williamson has become too soft on matters such as the new mass and current attendance at SSPX Masses, while the supporters of Bp. Williamson will point out that these people have basically gone cuckoo and are on the brink of schism. It’s something to remember that Frs. J. Pfeiffer and Hewko were 2 of the original 5 resistance founders. Moreover, the resistance does not possess a proper understanding of the Four Marks in the Church or of the visibility of the church, as proven in this article from Tradicat: http://tradicat.blogspot.com/2014/02/sspx-and-resistance-comparison-of.html. I cannot refute every word you’ve said, Steve, because of my time and the amount of space I would take up on this blog. I will now focus on a few of the most important things you mentioned. I could say a LOT more about all of this, but time and proper space limit me. Perhaps some of our commenters can help fill in the gaps. The biggest discrepancy I can see is the definition of the term “conciliar church” as how the Archbishop and the Society have understood it, compared to how the sedevacantists and now the resistance interpret it. As demonstrated from the following links, the Archbishop and the Society present the “conciliar church” as being like a virus or a faulty spirit that has infected the structures of the Catholic Church, not as an entirely separate and schismatic structure from the Catholic Church as the sedevacantists and resistance claim. In addition to his recent interview, Bp. Tissier signed the declaration of the 25th Anniversary of the Episcopal Consecrations along with Bps. Fellay and de Galaretta. This declaration does acknowledge and accept in the 11th paragraph the Society’s current strategy with Rome. Does Bp. Tissier seem to be the type to just go about contradicting his own public actions? I should think not. There certainly may have been some confusion around the Society in 2012, mostly sowed by the current resistors, but Bp. Tissier has shown since by his public actions and words that he does not support the same position of the resistance. Notice how many of the “resistors” today often wander into several of the positions Bp. Williamson then labeled as “moderate” and “extreme” sedevacantist. Well, I think I’ve discussed a good majority of your main points. Again, perhaps some of our other commenters can help fill in some of the gaps. May God bless and keep you, Steve! Superb! I will recommend the bloggers over at Catholic Truth pop in to read this latest contribution from you. It is excellent. For the record, may I clarify that, when I responded to Steve on May 21, at 5.19 pm, I did not mean to “attach a label” to him by asking if he were a part of the so-called “resistance” group. I believe I read traces of that group’s mindset in his comment, and I merely asked for his confirmation. Were anyone to ask ME the same question, I would answer in a heartbeat – NO! I am NOT! So, I believe that I am not a million miles away from the truth when I suggest that Steve has, at least, been influenced by those who have taken the “resistance” route. If I’m wrong, Steve only has to tell me so and I will take him at his word. Nor did I mean to “turn my back” on Steve, but I have had quite a bit of experience of debating with the “resistance” people (in person, not only via blogging) and I’ve yet to meet one who is not absolutely entrenched in that position. Ditto sedevacantists. Given that I have very limited time available to blog (takes me all my time to keep up with the Catholic Truth blog), I feel perfectly justified in withdrawing from debate with such persons. Doesn’t meant I am “turning my back” on them. My prayer is that others with more patience and more knowledge, will be able to answer the points raised by Steve – and so it came to pass! I see Athanasius has responded in some detail and with more knowledge than I possess on the subject, so I am confident that Steve will have benefited a great deal from this discussion – no thanks to me! I concur with editor. Your response to Steve was as concise as it was charitable. I am sorry to say that I do not share your praise of Bishop Williamson’s tenure at Winona seminary. My knowledge of his time as rector there, and it is sound knowledge gained over 25 years, is of a prelate who formed disciples according to his own mind rather than the mind of the Church, which was the mind of Archbishop Lefebvre. And his influence reached beyond the seminary into the Angelus Magazine of the time as well as further abroad where suspicious revolutionary types entered our Traditional chapels and started pushing strange agendas under the banner of Catholic Action. The Dorothy Day and Distributist types were one such grouping, strangely taken up now by the Modernists who want Day canonised. His Excellency was also noted for his less than fatherly approach to young seminarians who did not share his entrenched views in certain matters. You may be sure that none of these were made superiors during his time. The SSPX lost some very good priests thanks to Bishop Williamson’s influence long before his ill-fated attempt at a coup d’etat of a few years ago. I could say more on that subject but it would serve no purpose. Bishop Williamson is now where he should have been many years ago, i.e., expelled from the SSPX and running his own little sect. It’s not how he envisioned the future, that’s for sure. But when push came to shove, a number of his admirers decided that they would prefer to admire him from afar rather than join him. Sadly, an element of this particular fan club still lurks within the SSPX. For the record, I do not “despise” Bishop Williamson, as you insinuate, I just have no respect for him and his imagined crusade. He caused immense damage to souls in the SSPX when unity amongst the bishops was paramount (2009-2011). He has since gone on to affect unity in the Church by illicitly consecrating three bishops at a time when Traditional Bishops are not in short supply, as they were when Archbishop Lefebvre was forced to act in 1988. In fine, I believe his actions from 2009 to present to have been deliberately calculated to disrupt any and all negotiations between Rome and the SSPX regardless of the theological and doctrinal questions. I think His Excellency would maintain the same stance even if the Pope provided for a completely safe, uncompromising personal prelature for the apostolate of the SSPX. Hence my reference to him still being Anglican in his mindset. In summation, while I share your admiration and respect for Bishop Fellay, a truly holy prelate, I would emphasise that I do not idolise His Excellency in the way that perhaps you think I do. Even the best and most saintly prelates are fallible. Archbishop Lefebvre showed his fallibility when he chose Fr. Williamson for episcopal consecration. Bishop Fellay likewise demonstrated his fallibility by failing to deal with Bishop Williamson’s outrageous behaviour until it was too late. Much damage could have been avoided if steps had been taken many years before they were. Nevertheless, what is done is done. I still hold Bishop Fellay in the highest esteem and trust his judgment in negotiations with Rome. I also hold Archbishop Lefebvre to have been a saint in our midst and an instrument of God in this present crisis. God will preserve the apostolate of the SSPX as surely as He still runs His Church, despite occasional appearances to the contrary. The problem for the so-called “resistance” is that they have lost their trust in the divine assistance and now weigh everything on human terms, and with no little bitterness. I hope this explains my position a little more clearly. I believe from your own comments that you are a good soul intent on the best for the SSPX, the Church and souls in general. Thank God, the same can be said for the greater majority of Traditional Catholics. While on retreat last summer at an SSPX center, I was informed by the Retreatmaster that this Bishop Williamson business began when he was removed from the Seminary (Winona), and is nothing more than a vindictive response to that action. I myself paid no attention to this group until early in 2015, when someone in our (SSPX) parish surrendered our parish email list to them, and we all began receiving the most outrageous, insulting, sardonic messages you could possibly imagine, directed typically at Fr. Rostand and Bishop Fellay. It became painfully obvious that this group was engaged in nothing more than the character assassination of Bishop Fellay and the leadership of the Society, while attempting to cloak their despicable vindictiveness in an imagined superior fidelity to the wishes of Archbishop Lefebvre.